Hope you joined us for our second annual Anniversary Fundraiser Cabaret on July 17, presented by Honorary Co-Chair Cynthia Nixon! It was a great success!! Hosted by the effervescent Marti Gould Cummings, the evening featured amazing performances by some of NYC’s most talented stage acts. 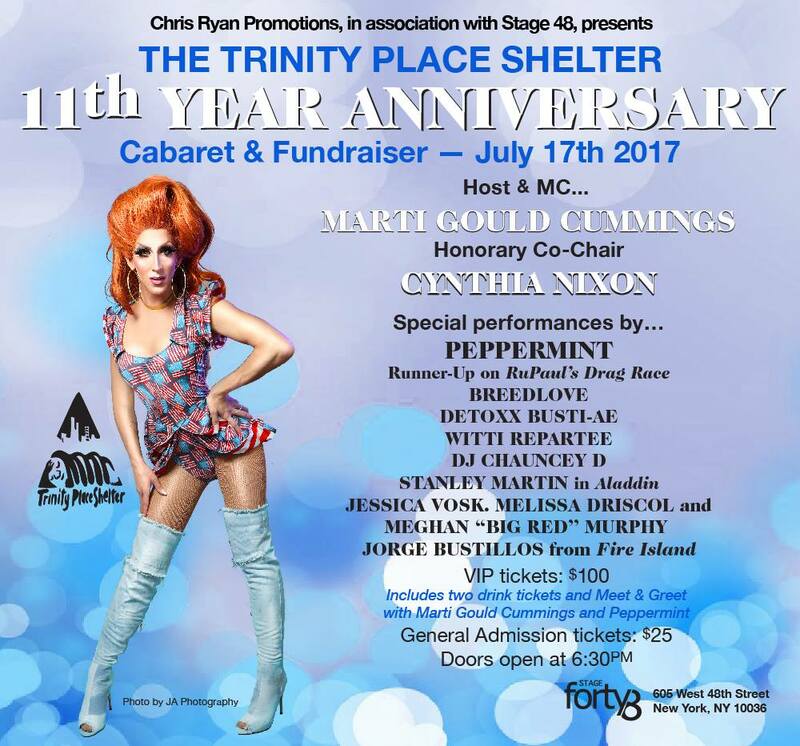 The roster included Peppermint, runner-up on RuPaul’s Drag Race Season 9, Breedlove, who’s opened for several of Lady Gaga’s incredible tours, Detoxx Busti-Ae, Witti Repartee, DJ Chauncey D, Stanley Martin, Jessica Vosk, Melissa Driscoll and Meghan “Big Red” Murphy! There was a silent auction all evening, and a live auction during the show.